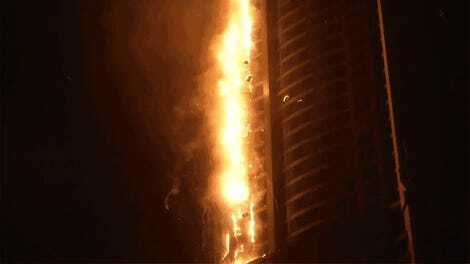 Trump Tower burning on April 7th, 2018. 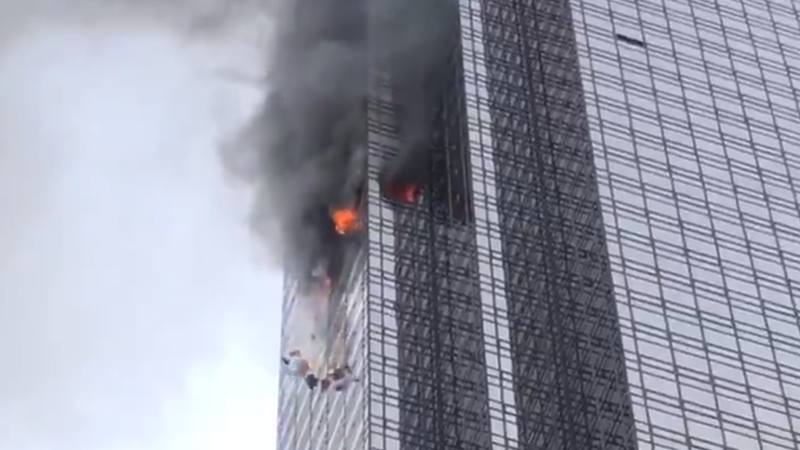 Trump Tower, President Donald Trump’s midtown Manhattan skyscraper, caught on fire on Saturday. Though initial indications were that no injuries were reported, the FDNY later tweeted that at least one civilian sustained a “serious injury.” Per CBS, the FDNY also said four firefighters sustained minor injuries. AP photos showed firefighters on scene and looking out the building’s shattered windows, the blaze apparently extinguished. 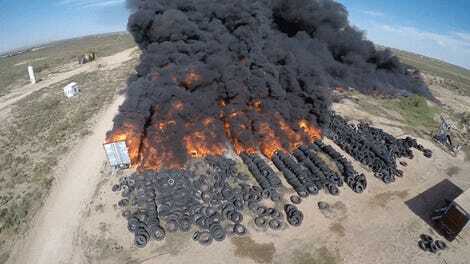 The aftermath of a blaze at Trump Tower on April 7th, 2018. Update, April 8th, 2018 at 10:15am ET: Per CNN, authorities have now escalated the toll of the fire to one death, six injuries. 67-year-old art dealer Todd Brassner, a tenant, was pulled from the room by firefighters unconscious before dying of his injuries. Authorities now say the fire was not ruled under control until 9pm ET, over two hours after Trump reassured the public that the fire was over. Nearly two decades ago, Trump, then one of the Big Apple’s most prominent real estate moguls, lobbied against Mayor Rudy Giuliani-era legislation that considered whether sprinklers should be installed in all residential buildings after two fatal fires in Brooklyn and Manhattan. The 1998 fires, which sparked sweeping building code changes, killed three firefighters at the NYCHA-run housing for seniors and four more died of smoke inhalation at an Upper West Side high-rise where child actor Macaulay Culkin’s family lived. Trump called city officials like famed Queens politician Archie Spigner, whose council committee compiled the bill, to argue that sprinklers were too expensive—at $4 per square foot—to install throughout an entire building, the New York Times reported at the time. Per the Daily News, Trump backed off the criticism after the rule was tweaked to grandfather in buildings that were already constructed or had building permits filed, though he maintained that most fire deaths were in “one- or two-family houses.” The ordinance was eventually passed with a requirement that developers must install sprinklers when units undergo renovations; Brassner’s 50th-floor apartment was apparently never required to have sprinklers under the law.